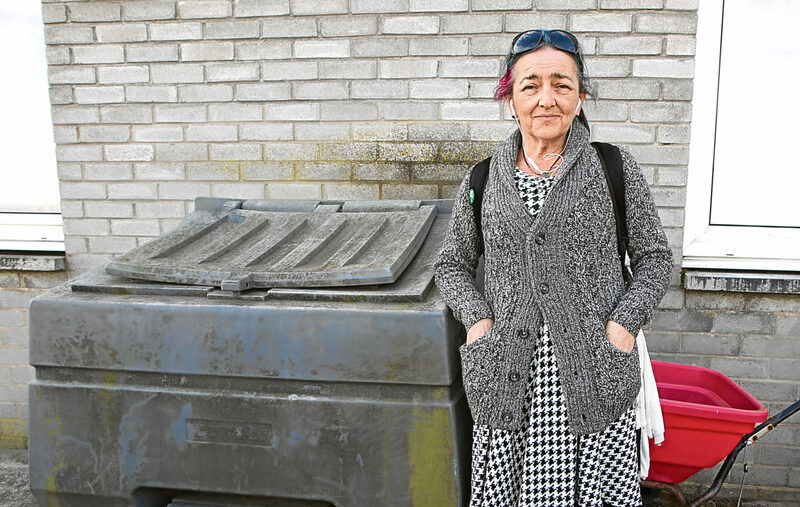 A CARER had to spend the night sheltering in a grit bin after being left stranded when her last ferry home was cancelled. Monty Phillips, 49, was trying to get back home to Dunoon after travelling to Paisley to visit a friend in hospital. When she arrived at Gourock ferry terminal to catch the 10.40pm sailing operated by Argyll Ferries, she discovered it had been cancelled due to bad weather. The last replacement bus service, which takes passengers to catch an alternative boat run by Western Ferries, had left an hour earlier. Monty had no money for a hotel or taxi and said a member of staff at the ferry terminal refused to unlock the waiting room for her to stay in. She claimed the only help he offered was to call a taxi – or lend her a coat. And the only shelter she could find nearby was a grit bin full of rock salt, so she decided that would have to be her bed for the night. Monty, who cares for her 89-year-old mother, said she had made sure she was back in plenty of time for the last boat on April 11, when the incident happened. “When I got to the ferry terminal I was met with a sign saying the final replacement bus had been at 9.45pm and nothing was in place for the last sailing,” she said. “The waiting room was locked and in darkness and the staff member said he couldn’t unlock it as it was alarmed. 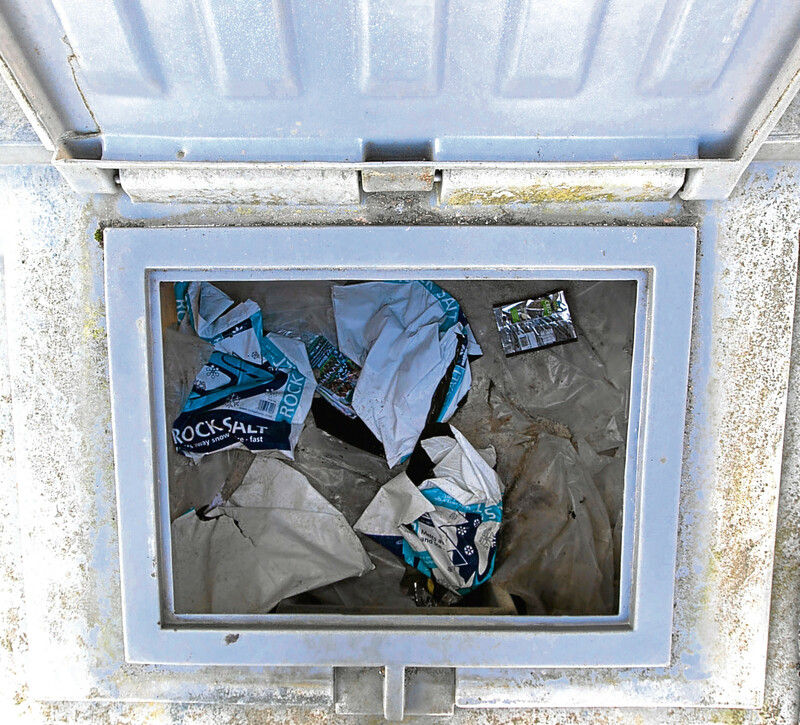 “When he realised I was there for the evening after he locked up he said he could phone me a taxi – but if I could have paid for a taxi I wouldn’t have been sitting outside. “And I didn’t have the money to put myself up anywhere for the night. He asked me, ‘Is there nowhere local you can go?’ But there wasn’t. Monty said she would usually have called on her 23-year-old daughter for help, but didn’t want her to attempt the four-hour round trip by road from Dunoon to Gourock as her car was playing up. Shortly after midnight, she decided to climb into the grit bin. She added: “It was a long and uncomfortable night until 6am the next morning. 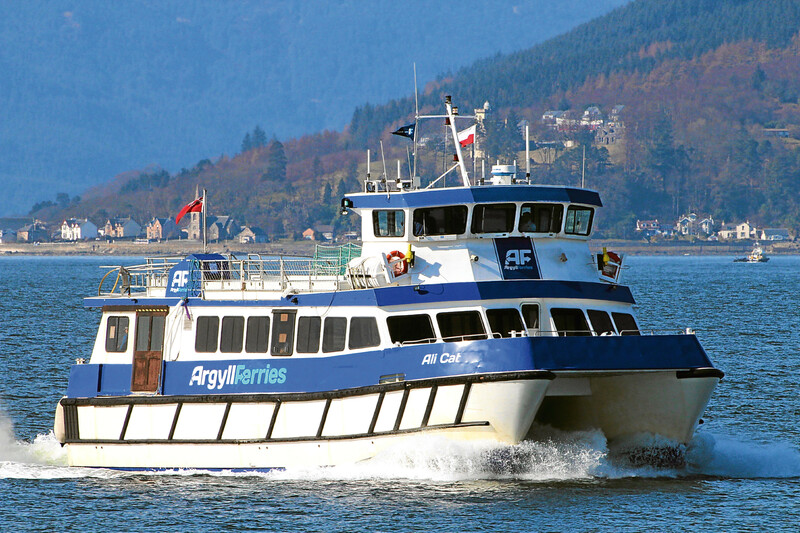 I didn’t get any sleep at all – I was too scared and too cold to sleep.” Argyll Ferries said customers were informed via their website and text message service and on rail information boards that sailings would be cancelled due to adverse weather conditions. It said: “A replacement bus service was offered up to the last possible Western Ferries return sailing. “Staff tried to assist the customer concerned as much as they could, offering to call a taxi and even to drive her somewhere local if that would help. The Gourock to Dunoon route has been criticised for disruptions to the service. It was suspended several times due to high winds in the week that Monty encountered problems.